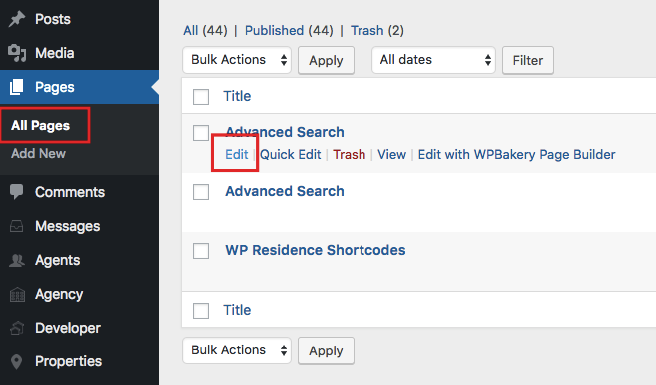 The theme allows you to set global header for all pages, posts, properties, agents, taxonomies, archive pages. 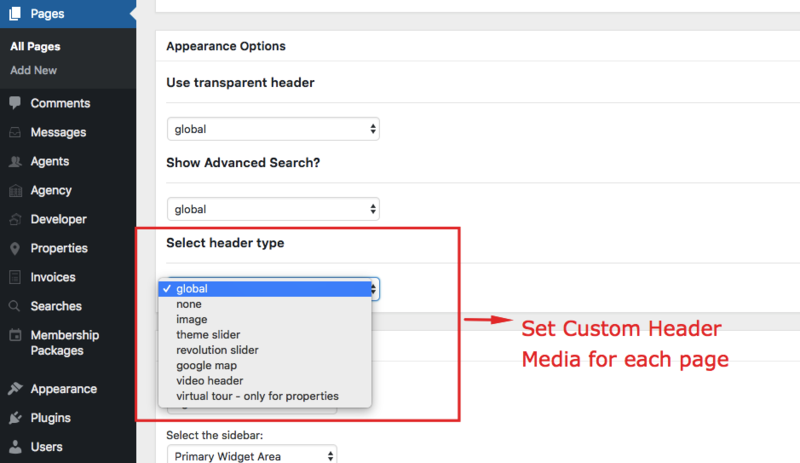 Note: Properties list half map & advanced search results half map pages MUST need header set to google maps (in case global header is set to something different than google maps, you must set Google Maps from Appearance Options for each of the pages with half template). 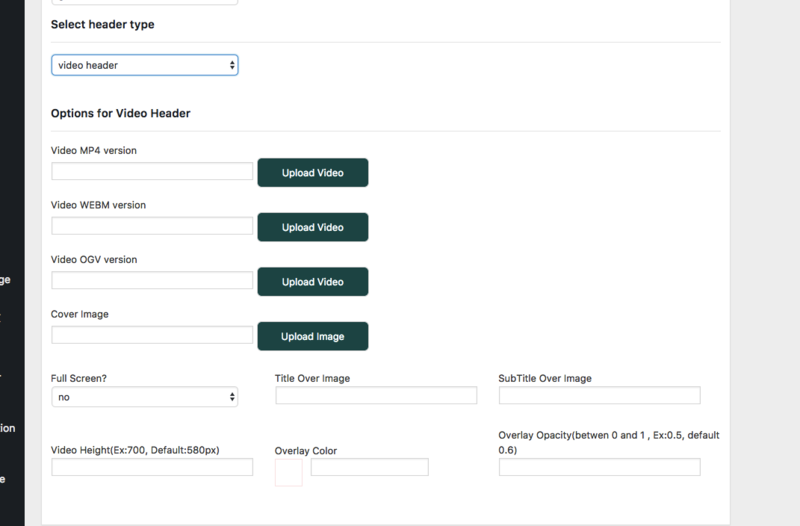 For the video header, you can add self-hosted video in mp4, WEBM, OGV versions. 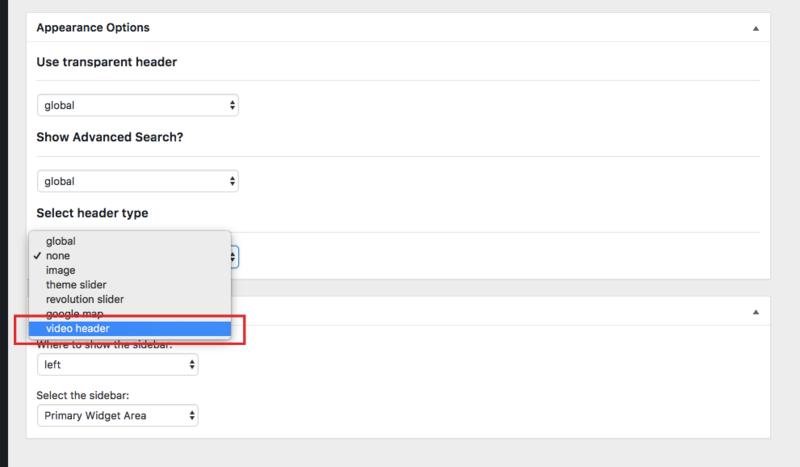 You can include a cover image (in case the video is not supported on specific devices – browser related situations). 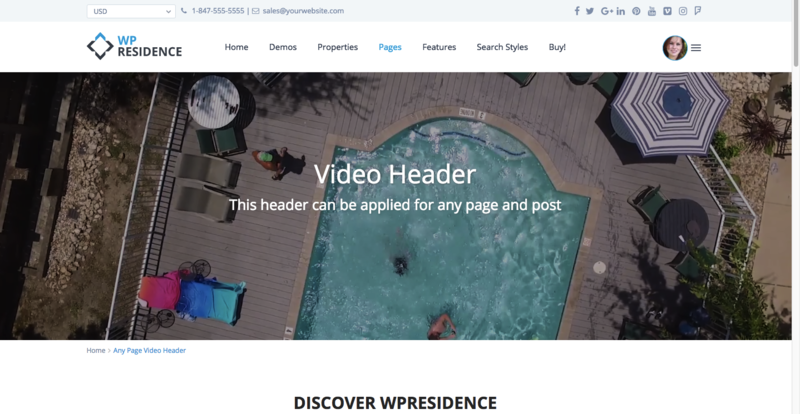 As design options you can choose to make the video header full screen or fixed height, you can add an overlay color (choose your color with a color picker tool) and set the opacity value for the overlay color. 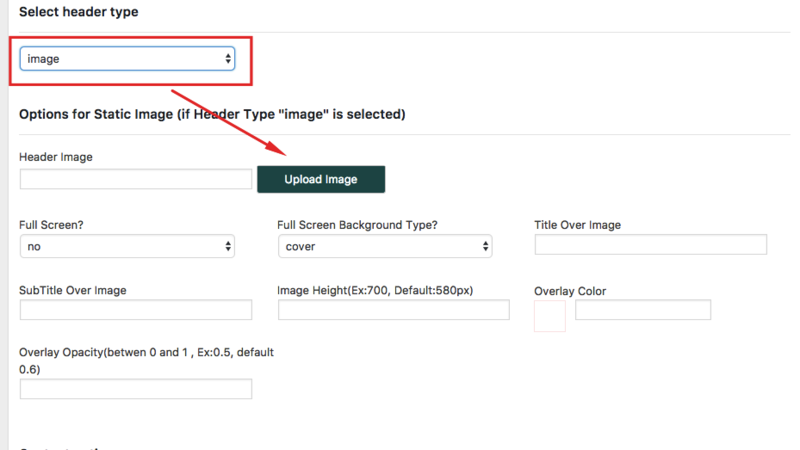 As design options you can choose to make the image header full screen or set fixed height, you can add an overlay color (choose your color with a color picker tool) and set the opacity value for the overlay color, and you can set the background style image (cover or contain). 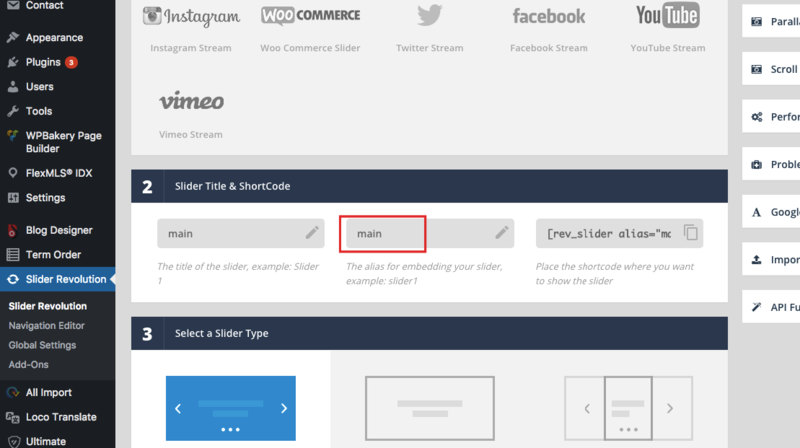 There is a separate option to enable PARALLAX for Video and Header Image globally, throughout the site. Add the custom map lat, long coordinates and your chosen map default zoom, map height.